Four non-slip pads on the base and an additional four pads on the fingers. 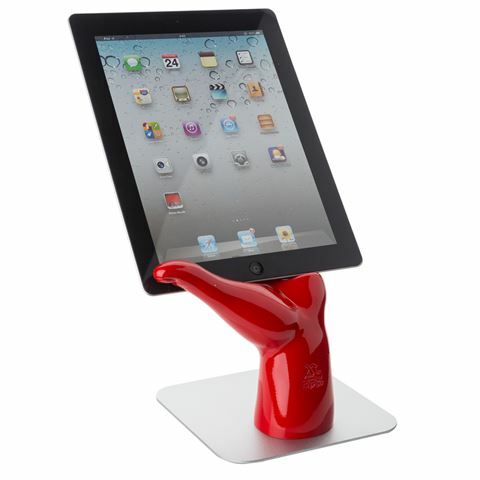 Allows you to rest your iPad or tablet right in the palm of Steve’s hand. Dimensions: 17cm (l) x 20.5cm (h) x 15.5cm (w).